Gladys Maina wasn’t always going to be an IT professional. A dutiful daughter, she initially obeyed her parents’ directions and pursued a medical laboratory certification, following in her medic father’s footsteps. Gladys describes the halcyon days of the early internet with fondness, reminiscing on MSN and chatting with people around the world. The feelings of liberation and connectedness that the early days of the internet provided proved to be alluring distractions from the career opportunities that awaited her in the medical field. She got her opportunity to switch sectors when a friend recommended her for a sales position at a newly opened a cyber cafe. After working in that role for three months, she became a cyber cafe attendant. 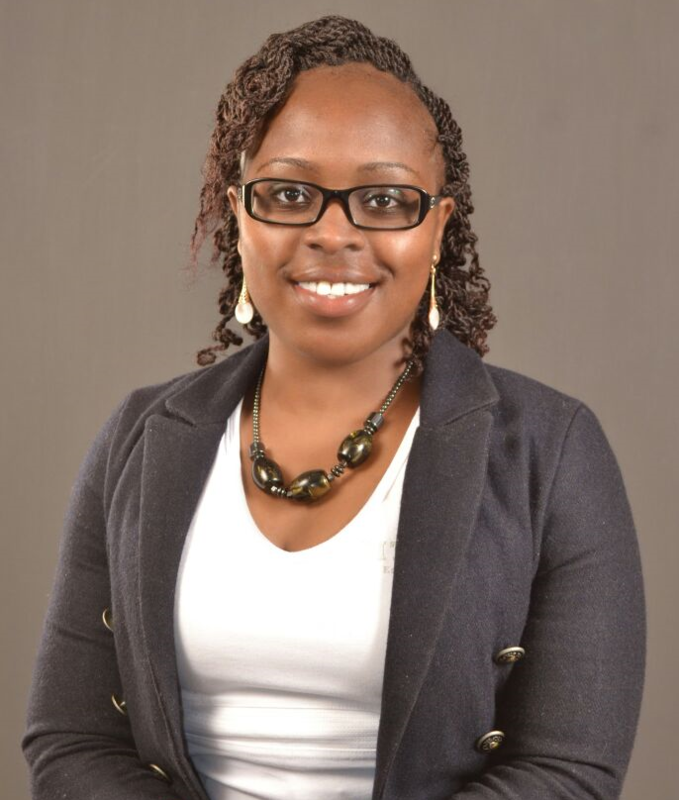 Later, she studied information of management systems at Kenya Methodist University and is currently pursuing a master’s degree at the University of Nairobi. Now, she’s optimistic that young women from similar backgrounds as her, who haven’t grown up in Kenya’s biggest cities, will have a more direct path to tech access. She points to innovations like the Unstructured Supplementary Service Data (USSD) communications protocol, which enables information and money transfer over basic phones. Access isn’t everything, though; it’s always helpful to have somebody model what success looks like and encourage you throughout your journey. That’s why Gladys is active in mentoring young women pursuing STEM paths, working closely with African Women in Technology since 2016, and mentoring girls through the Ghana-based Nsesa Foundation. The experience of working with young women has left her with strong beliefs about the importance of lifelong learning and letting youth choose their own paths. She alludes to her own decision to switch fields as one of the reasons she feels strongly about giving young people the freedom to decide their vocations, and says that choices about work can cause friction in relationships between parents and children. In such situations, all is not lost. Her story is a testament to the value of flexibility and risk-taking, starting small and working your way up. Today, technology has advanced from the days when Gladys worked as an attendant in a cyber-cafe and chatted on MSN. So too have public perceptions of women in tech.